You’re about to embark on one of the most exciting journeys of your life. Congratulations on your upcoming ceremony! Joann here, I’d like to say that I can’t wait to help make your day as special and memorable as it should be. 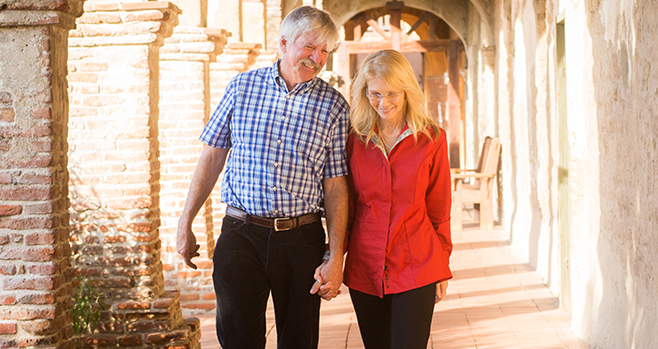 If you’re wondering about the name “Ceremonies De Vie,” my husband, Brian Bourguignon, is French, and the name means Ceremonies for Life! We are in the business of celebrating the very best moments of our couples’ lives! I’m honored you’re considering me to share that “I’ll remember this forever” moment. 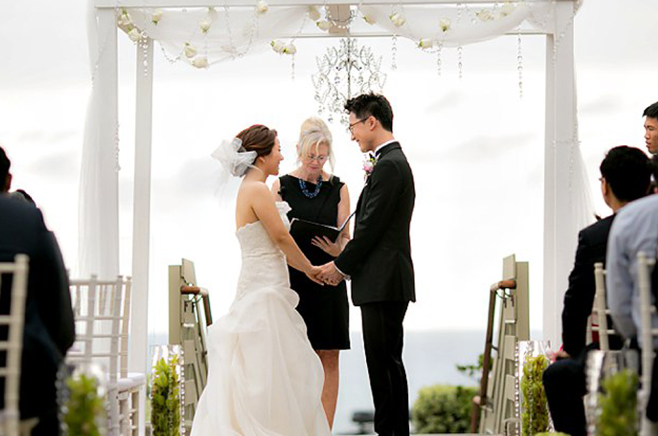 I’m a registered, San Diego-based wedding officiant and founder of Ceremonies De Vie. I have been a proud recipient of the WeddingWire Couples Choice Award for five years in a row, and worked with couples in San Diego to make their dreams come true for more than a decade – and I’ve loved every minute of it! To learn more, feel free to text me at (760) 207-2652. My job, as I see it, is to understand the tone you want to set for your wedding ceremony. Whether that’s romantic, fun, unique, specialized or all of the above. Then together we make your one-of-a-kind wedding happen. Regardless of the size of your wedding, we start with your love story. Every story is unique and every story is worth telling. Having a specialized and personalized wedding ceremony is the top priority for most of my couples. Seeing a couple’s unique love story on display is why people love weddings. It’s not the romantic setting, beautiful flowers or that the couple is dressed perfectly. It’s because they are promising to be the best person they can be for the other — for the rest of their lives! 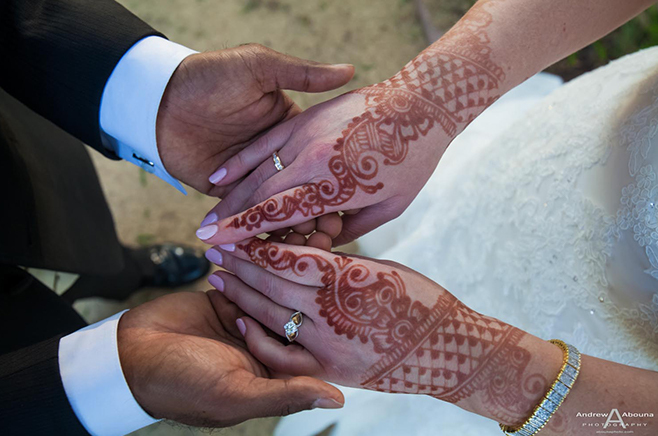 At Ceremonies De Vie, we do more than just plan and stage your wedding, vow renewal, or elopement ceremony; any wedding officiant in San Diego can do that! Instead, I start a conversation. From your free consultation to the ceremony itself, I will be with you every step of the way. It’s important to me that you discover and fully express what you’re looking for on your special day. Whether it’s via phone, email, or video chat, the planning of your ceremony is a 100% collaborative effort – and you have the final say on what goes and what stays. Personalization and customer service is at the core of everything we do here at Ceremonies De Vie. Providing one-of-a-kind, handcrafted ceremonies is exactly what inspired me, Joann, to become a wedding officiant over 12 years ago. I realized that every couple deserves a day that celebrates the beauty of their commitment to one another exactly the way they had always imagined it. 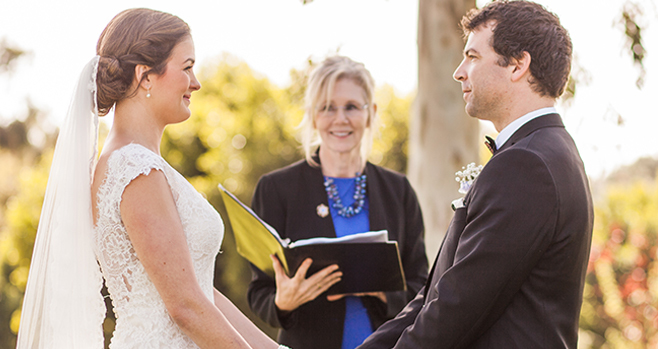 At Ceremonies De Vie, we’ll create, organize, and officiate any size wedding and marriage ceremony in San Diego, Riverside, and Orange County. We proudly serve all couples, regardless of religion or sexual orientation. Or, feel free to text Joann at (760) 207-2652.